School’s out, camps are in, and if you’re looking for a relaxing sports fix check out one of the area’s most entertaining baseball opportunities this week. And it won’t cost you anything…but time. 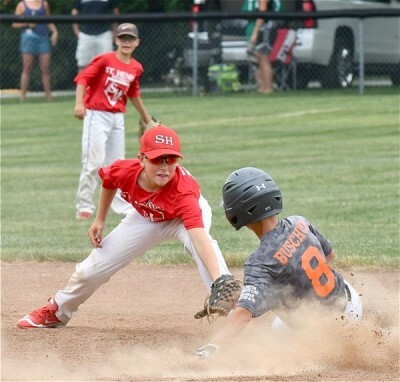 For the third year in a row I’m going to highlight what I’ve found to be one of the truly fun baseball events of the summer – the annual Craig Stammen Little League (or youth baseball) Tournament that’s hosted next weekend, June 14-16, in Versailles. Stammen, who won’t be there in person (he’ll be playing himself, for the San Diego Padres), has lent his name and considerable resources to this event for several years now. And given his reputation and current affiliation with major league baseball, the kids who play treat the opportunity with a lot of respect and appreciation. Another, from St. Henry, added a slightly different perspective. Actually, it’s Craig’s dad, Jeff, that sells tractors in North Star, but for whatever reason, young area baseballers, by and large, know about Craig Stammen and they put a lot of effort into his three-day tournament. And indeed, the Little League field there in North Star does have his name on it – Craig Stammen Field. 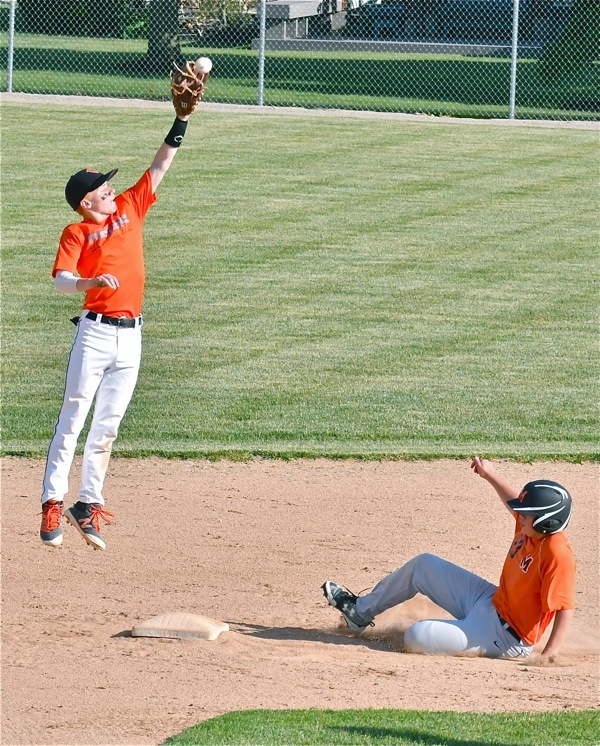 Boys playing baseball at last year’s Craig Stammen Classic tourney. But what Stammen has contributed to over the past decade has been a consistent competitive profile by area high school teams that annually make a strong showing in the OHSAA state tournament. Teams from Coldwater, St. Henry, Minster, Fort Loramie, Russia, Versailles, and Fort Recovery are just a few of the communities who will send teams to Craig’s tourney next weekend; and it’s no small coincidence that teams from Loramie, Minster, Coldwater, Russia, Versailles and Recovery have all been in the state Final Four in the past decade, with Loramie and Minster winning three times each since 2007, and Coldwater once. And I’m confident to say that every one of those teams had a handful of players that were past participants in the Stammen tourney weekend. The point? Good experience and good competition simply makes you better! It’s convenient – Versailles is less than a 30 minute drive from anywhere in Miami, Shelby, Auglaize, Mercer, and Darke County. It’s comfortable – bring your favorite lawn chair and claim a shade tree for as long as you please. And, you won’t go away hungry. Stammen has a group of volunteers at every location that keep the grills smoking. It’s not Poultry Days, but chickens don’t play baseball, either. There’s games for each age group, and it’s all managed for one thing and one thing only. It’s wholesome fun for the sake of boys becoming better baseball players. And if you can think of it from the perspective of seeing tomorrow’s state champions play today…this is where they learn. 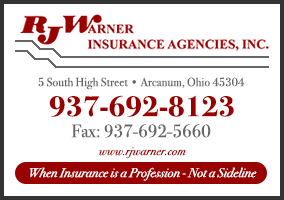 Just ask Jeff Sanders and the boys from Loramie. It’s a good thing to do. Minster’s Jared Huelsman will be honored this week as the MAC’s stop male student athlete for 2017-18. This Wednesday, June 13, marks the fifth annual Press Pros Midwest Athletic Conference (MAC) Scholar-Athlete Award ceremony, hosted by the Moeller Brew Barn in Maria Stein. The top male and female athlete as selected from better than 50 applicants has been chosen from a panel of retired teachers and guidance counselors to each receive a $2,000 scholarship to further their career studies this fall. Those scholarships are supported through the contributions of local businesses who sponsor coverage of conference sports on Press Pros. 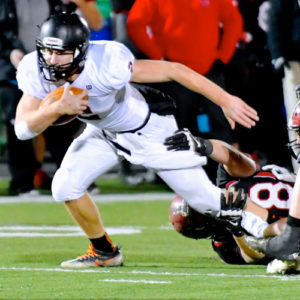 This years male recipient is Minster’s Jared Huelsman, who quarterbacked the Wildcats to consecutive state title games and won the Division VI championship last December. He was also a member of the 2014 title team as a freshman. The female recipient is Versailles’ senior Danielle Winner. Winner won state titles twice in her four-year career, once in basketball as a freshman, and last November in volleyball. Press Pros will also honor 2018 Hal McCoy Award winner, Paige Thobe, from Minster, who will be awarded a scholarship to pursue study in her chosen field of journalism. Ceremonies begin at 6 pm on Wednesday, and all interested MAC fans and supporters are invited.